We are a Gold Partner of Nomadix and our platform has been designed as an External Web Server (EWS) for Nomadix, utilizing superior bandwidth management capabilities of the product. With Nomadix, we offer unique management and billing features such as Tiered & Group Bandwidth Management, Managing Multiple WAN Links with rule based User assignment, Billing Plan Upgrade without disconnection etc., which have enhanced the functionality of our Platform, in hospitality and other industries. The AG 5900 Access Gateway is a next generation, high-performance Internet access gateway that enables the creation of a public Internet access and guest access networks. Designed with scalability in mind for medium to large sized venues the AG 5900 Access Gateway can support from 500 up to 8,000 simultaneous devices. The AG 2500, Nomadix’s mid-range bandwidth management gateway is ideal for value-driven, visitor-based network venues, such as hotels with fewer than 150 rooms. With its modular pricing scheme, the AG 2500 is priced to provide a lower barrier of entry and the flexibility to reduce customers overall total cost of ownership. The Alloc8–X Series’ Deep Packet Inspection (DPI) technology combines real-time monitoring, analytics, reporting and an intelligent recommendation engine to provide network operators with the visibility to pinpoint the sources of congestion and delays. By shifting the paradigm from capacity management to demand management, the Alloc8-X enables network operators to more efficiently use the bandwidth. Although we have highlighted the most common deployments of Nomadix Gateways, they can be deployed in other industries as well with centraSERV Paltform to provide customized and unique solutions. We have integrated our Platform with Cambium WiFi Access Gateways and with that, we are able to offer a wide range of solutions, catering to the market segments such as Hospitality, Retail, Education and Health Care. We are working closely with Cambium to develop solutions that are cost effective and easy to deploy, satisfying the needs of our Customers who provide public access to broadband internet as a service at their venues. 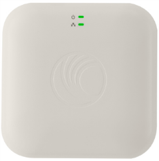 cnPilot E400 is an Indoor Access Point that is ideal for both enterprise and distributed enterprise networks, cnPilot™ E400 offers WLAN that is scalable, secure, and reliable. Ideal for deployments within small hotels, schools and campuses and any other public venue where access to WIfi will be an integrated service offering within the venue. cnPilot E500 is an Enterprise Outdoor Access Point, which is suitable for any demanding outdoor environment requiring cost-effective, controller-managed WLAN Access Points. Optimized for enterprise, education, or industrial campuses, public WiFi, and hospitality. © 2017 Innovative Data Solutions. All rights reserved.